The benefits and advantages of using MS Outlook Email Exchange are clear for businesses; The question then becomes is it better to purchase the Microsoft Mail Exchange Server and maintain it locally (ie, in your office) or outsource to an email exchange hosting cloud provider? Outsourcing the company Outlook mail exchange hosting allows low upfront costs and will make the most sense for small to medium sized businesses. Cloud hosted email Exchange services include license management, installation, maintenance, backups and upgrades, operation, and all other tedious tasks that come with application hosting. This helps alleviate the pressure and IT tasks – allowing businesses to concentrate on their business while lowering IT costs. Microsoft Exchange Server cloud hosting from Cloud9 provides a stabilized company messaging background that has Outlook e-mails, centralized storage and Calendar. 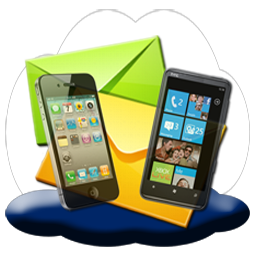 Exchange email cloud hosting is just an outsourced solution of Exchange server implementation, with pre-configured features such as outlook, outlook web access, anti-virus and anti-spam protection, as well as mobile phone syncing. 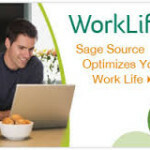 One of the best features of email exchange hosting is that it offers secure email and Outlook access. The anti-virus and anti-spam features are the most beneficial qualities of Exchange Server hosting while offering the option to receive mail via Smart Phones. The simple benefit of reducing SPAM through the Intelligent Message Filtering to eliminate spam prior to your mailbox getting cluttered is worth the switch. Every e-mail that passes through Exchange Server 2010 hosting is encrypted offering a higher level of security for businesses.